There are few individuals who have made more of an impact on preservation in Georgia than Richard Laub. 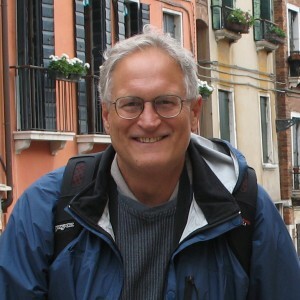 Richard served as the full-time director of the Masters of Heritage Preservation Program at Georgia State University from 2001–2017. Serving as professor, mentor, and booster for hundreds of students, Richard has helped develop a generation of preservationists now serving across the country. In this capacity, Richard oversaw the creation of numerous National Register districts in metro Atlanta, helped municipalities create meaningful preservation plans, and led the documentation of many significant historic resources. Prior to his work in academia, Richard worked with the Georgia Historic Preservation Division as well as in hands-on restoration at two National Trust historic properties. In his free time, Richard has also served as the Chairman of the Atlanta Urban Design Commission and served on The Georgia Trust Board of Trustees. The Mary Gregory Jewett Award for distinguished service in the field of preservation is named for the Trust’s first executive director and is the Trust’s top honor given to an individual. This award is reserved to recognize those whose dedication and service to the field of historic preservation in the state of Georgia is extraordinary.